In my previous blog entry on this subject, “Understanding North Korea’s EMP Threat” (1), I did an overview of the risk of the North Korean threat to use an Electromagnetic Pulse (EMP) weapon against the United States. The magnitude of the EMP threat was reinforced in a FOXNews piece by Hollie McKay who interviewed other experts in the field in her piece, “Millions of American lives could be at stake as NorthKorea threatens to attack power grid” (2). The original piece also discussed the means of delivery available to the North Koreans and touched on defensive measures that could be undertaken to mitigate the threat. This installment will focus on architectural options to shoot down a warhead on the way to its target. Ballistic missile defense is a game of layers; originally, five layers. They are launch detection, boost phase, mid-course phase, re-entry phase and terminal phase. These concepts initially emerged in 1984 during the US Strategic Defense Initiative (SDI) program. The architecture and strategy for US missile defense was codified as the “Imperfect Theory of Strategic Missile Defense”. While any single force element has strengths and limitations, the orchestration of the instruments yields a credible deterrent posture. The warfighting strategy weaved a layered architecture together that created a credible shift in the calculus of nuclear warfare. In the case of that era, it helped push the process of managing global stability from the brinkmanship of mutual assured destruction to another path that eventually diffused and ended the Cold War. SDI was one of several building blocks of the Reagan era that finally did succeed in ending that war without a shot being fired. This central lesson of why one architects a missile defense system is a matter of national security once again of importance in the present with respect to North Korea. For present day people who thought this Star Wars stuff was ancient history, without diving too deep into the numbers, lets have a peek at the old bidding. We’re good at watching. Defense begins with knowing when a threat emerges. US launch detection systems are the best in the world, well actually, out of this world; many elements of these systems are space-based and able to detect missile launches anywhere on earth. The North Koreans cannot hide the ascent of an ICBM booster. Furthermore, several other countries also watch the goings in in North Korea obsessively. Early flight profile characterization is also straight forward. There are regular “after the fact” observation reports of North Korea’s test launches released to the public that are based on these observations. The boost phase of a missile’s launch is the most vulnerable portion of its entire flight profile. It’s mostly a volatile pile of explosive fuel encased in a very thin shell; you don’t want beefy metal because every ounce costs in the energy budget to get an object into space. Make a hole in that shell and the thing explodes in a fireball. That’s pretty much what boost phase missile interception is. Limitations. You cannot easily chase a climbing ICBM with another missile. The ICBM is accelerating far too fast to catch up. You have to hit it either from above using a space based weapon or using a light speed energy weapon. Oddly, one of the posits of the precursor to SDI, High Frontier, did have the side effect of exploding nuclear weapons in space to burn missile boosters but that of course causes EMP’s and kind of defeats the purpose of defending against a single North Korean EMP weapon. I never liked that one. Just saying. Mid-course interception is the phase of a missile’s flight when it is in orbit. It’s moving between 14,000 and 17,000 miles per hour at an altitude between 100 and 1,000 miles. Basically, it’s about shooting at objects in space. Today this is the domain of the US Navy’s Aegis cruiser and it gives the United States a credible capability to threaten a potential aggressor attempting to lob an ICBM at us. The Aegis does best as an anti-satellite weapon. The reason for that is that there’s one satellite and it’s usually alone in the sky. ICBM’s being thrown into that air in a rush are typically combinations of the warhead and a debris field. The bottom line is that you have to hit the right piece. That can be a challenge. Regardless, the US can hit things in space and that should worry the North Koreans because there’s a decent chance we’ll hit the right piece. Re-entry engagement is also called high-endo atmospheric interception. The warheard is coming down from space. This is good for shooting at things because the friction of the air strips away the debris field and the target of interest is flying by itself; you only need to try to hit one thing, mostly. This is the domain to the US Terminal High Altitude Area Defense (THAAD) system, a Lockheed-Martin system with an impressive record of successful test launches. If it’s in position in the path of an incoming threat, it will be potent. Positioning is one key. The other is that the warhead actually descend into the high atmosphere. That’s kind of the annoying thing about an EMP weapon; depending on the yield of the warhead, it might not have to descend that far from orbital altitude prior to detonation; a height of 100 miles works for a hydrogen bomb class weapon. 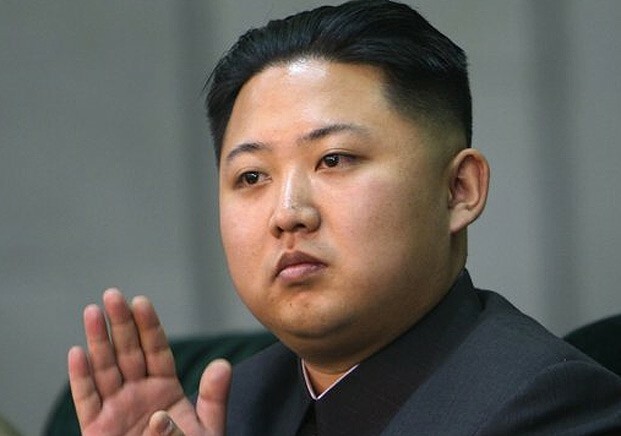 North Korea claims to have a hydrogen bomb class weapon. Still, don’t count a THAAD out. It’s known to hit things. It means the US can hit things, maybe even the right thing. The final resort is terminal defense designed to protect a specific target from a warhead coming at it. There are a number of these defensive systems based on both missiles and lasers in service in the world today and they work admirably against tactical rockets, medium range missiles and even against artillery shells. The problem is that these objects are turtles compared to the approach speed of an incoming ICBM warhead. ICBM’s are freaking fast. They don’t really slow down much from their 7 to 9 kilometers per second orbital speeds when they come down. That’s a tough shot. Tough enough that I remember people proposing blowing up nukes to the north of missile fields during the cold war to create curtains of sand that would act like a belt sander cutting a warhead coming tough it to pieces. It wasn’t a very good idea. For one thing, you would blow up one nuclear bomb deliberately and risk a second one salvage detonating; plus, the complaints about the fallout would be horrendous. I jest. There are anti-missile technologies that are more promising and should continue to be developed to tackle threats emerging as nuclear capability proliferates to rogue states. Most nuclear warheads are designed to use kiloton to megaton blast and over pressure yields delivered very accurately, the term is center error probable; effectiveness is measured as Yield-CEP. Basically, they blow things up. These were the ICBM’s of the Cold War’s Single Integrated Operational Plan (SIOP); the force elements of the former Soviet Union’s Correlation of Forces calculus. They along with low yield tactical radiation enhanced warheads known as neutron bombs, need extremely accurate guidance systems to be effective. The North Koreans are nowhere near that precise in their ability to target weapons at ICBM distances. EMP weapons are a different animal. They fry electrical equipment. EMP bursts are most effective when delivered using high altitude detonations. They do not require tight CEP accuracy. Somewhere over a target the size of a county or even a small state will suffice. Rudimentary missile guidance systems will suffice. ICBM flight profiles at extreme distances such as between a North Korean launch and an Eastern US target are not optimal. The weapon would be approaching at very low angles of approach by the time it arrives at the target; and more importantly, would have to transit the entire continental US and be subject to intercept for a large portion of its flight path. It would be far more efficient to use an orbital weapon or a fractional orbit weapon to detonate an EMP weapon at the most effective altitude over the target. Range is unlimited and height over target geometries are easily achieved. You fire them to the south instead of the north meaning they will approach the continental US from the south, a relatively undefended frontier as far as incoming nuclear weapons are concerned. Previous experiments with orbital and sub-orbital weapons were done by the Soviet Union in the 1960’s. True orbiting weapons were since outlawed by international treaty; however, sub-orbital weapons that do not complete a full orbit are technically legal, even if they are considered highly destabilizing. These so-called Fractional Orbit Bombardment Systems (FOBS) are less accurate than normal ballistic missiles but this is not considered a detriment for an EMP burst which relies mostly on energizing electrical connections sufficiently to overload and destroy components. The ideal detonation altitude is a trade off between the energy density required to fry the target’s wiring and the size of the geographic footprint one desires to affect. FOBS typically fly at low earth orbit satellite altitudes and speeds, roughly between 100 and 1,000 miles altitude at speeds of between 14,000 and 17,000 miles per hour. Development of FOBS weapons was abandoned by agreement between the US and Soviet Union as part of the negotiations for the SALT II Treaty in 1979. FOBS profile weapon delivery basically stays at mid-course profile of missile flight; maybe a final dip into the high-endo atmospheric range at the end prior to high altitude EMP burst detonation. delves into the world of anti-satellite (ASAT) weapons systems. The interception of objects in low earth orbit (LEO) is not an unknown weapons technology base in this world. The United States, Russia, China and India have all done experiments intercepting LEO’s in the past with varying degrees of success. Acrimony over such experiments in the past had more to do with a successful test creating unwanted debris in space. However, given that a rogue state like North Korea may attempt to use orbital space for attack, these past experiments now become all the more valuable. The missile defense problem is exacerbated for a FOBS weapon because, unlike orbital interceptions, the defender must solve the firing solution on the zeroth orbit. This means precisely detecting, acquiring, tracking, intercepting, assessing, and — if you miss — reengaging … FAST. The challenge for the United States is to be able to defend itself against a North Korean EMP missile attack. Let’s design something that will work. First, the angles of attack available to North Korea are limited. The most important constraint is that the flight path of their missile must avoid overflying another country’s territory to the extent possible. This a rules of warfare thing. Overflying airspace is bad. It’s why cruise missiles are cool. They can be programmed to skirt international borders on their way to the target. To attack the US, North Korea has a direct ballistic missile approach across the Pacific and a fractional orbit lane shooting southeast via Guam, over Antarctica and approaching up the Atlantic from the south. The US must defend both approach vectors. It’ll require a little juggling but we have the resources to do so. The SDI optimization for this defensive puzzle involves three adjustments from experimental missile defense testing to transform to an operational credible certainty architecture. The US must be able to maintain continuous real-time surveillance of the missile track regardless of where it is over the globe. The US must be able to generate interception firing solutions as many times as possible along the missile track. Given that anti-missile interceptors are imperfect engagement weapons, I would recommend between five and ten intercept windows along the flight path. For the northern trans-Pacific ballistic path, a 30 to 40 minute transit time means position resources for a shooting window every 3 to 6 minutes. For the southern FOBS path, a 90 minute transit path bearing in mind an interception dead zone over Antarctica indicates shoot windows every 6 to 10 minutes during the first third and last third portions of the fractional orbit. Most of these firing windows will be over water which indicates US Navy Aegis cruisers or, alternatively, cobbled together interceptor ships with the radars, comm towers, pepper box launchers, and control centers on their decks. For the overland portions of the trans-Pacific flight, a mix of land based orbital interceptors (Aegis) and high endo-atmospheric interceptors (THAAD) within the CONUS with shoot windows separated every 60 seconds is not really unreasonable given the dire nature of the threat. It’s not deterrence opposite a rational foe; it’s combat against an irrational one. The US should further be able to launch and guide multiple interceptors per firing cycle. There actually is no reason to rely on a single shot probability of kill per shot window. Tell the weapons manufacturers to optimize the firing solution procedures to shoot three closely spaced interceptors to arrive at the target slightly staggered so each follow on interceptor goes for anything that came out of the debris cloud of the prior engagement just before its arrival. Filling the sky so thick with flak you can walk on it is an air defense artillery technique that works. These architectural adjustments to the original SDI Imperfect Defense design increase the number of engagement encounters that an attacking ICBM must survive in order to reach a target in the United States on its zeroth orbit. Gaming the single shot probability of kill — Pk-ss — by compounding it as high as 30 intercept events en-route raises the cumulative probability that the US defense will prevail even using individually imperfect weapons. The mathematics should approach a confident degree of certainty. The main ground rule difference between this calculation and the one I did in 1984 is there were thousands of objects to deal with back then and only a few to deal with this time around. My present case net assessment? Doable. More importantly, this approach uses force element components already available to the US Department of Defense. They can be strategically arranged to, as Secretary of Defense Mattis says, “handle the problem” regardless of which attack profile the North Koreans care to try. It means that if the North Koreans attack, the US actually does stand a good chance of defeating their attempt to place an EMP weapon into position to detonate over our homeland; that we’ll be unscathed. This in turn generates new options to manage our response to a North Korean act of war. We can approach an attack maintaining a position of international leadership as a agent of the cause of global stability; a far better posture that retaliating as an enraged avenger of great national loss. By being publicly credible that we are actively and forthrightly configuring our defenses to negate North Korea’s bluster, we will close off their irrational options and, in time, guide the North Koreans back to a path of interaction with the global community that is more productive. I respectfully encourage the United States National Command Authority to consider these observations in the light of North Korea’s continued intransigence. If a North Korean warhead in flight completes one orbit, it technically becomes a weapon in space that is banned by the Outer Space Treaty of 1967. The second it begins the next orbit, the US should be sending firing solution data to any other country that has an anti-satellite intercept capability to take shots at the thing as it begins to overfly their territories. We should insist that anyone we sell or give a missile defense system to agree to participate in a global shoot down after the zeroth orbit. Such an international cooperative agreement would send a powerful message to the North Koreans that the coalition against them will expand to the entire planet coming down on them roughly 90 minutes after they initiate such an act of war. That quite honestly, the North Koreans should be praying the United States succeeds in shooting their missile down. Dennis Santiago was the military operations research analyst responsible for originally authoring the theory paper on the “Imperfect Defense Theory of Strategic Missile Defense” that came to light during the 1984 US Strategic Defense Initiative Phase One Architecture Study. He also did work in the areas of US power projection, global stability and arms control policy. Since the the end of the Cold War, Mr. Santiago has concentrated his efforts on systemic risk analysis and solutions in the finance and banking sector. North Korea just issued a serious threat against the United States of America. Few people outside the world of nuclear warfare military analysis have pondered electromagnetic pulse (EMP) as a strategic weapon. It’s well understood and mostly dismissed in battle planning because military forces and command systems are specified to be radiation hardened against EMP. But North Korea is not a conventional or rational foe. They have telegraphed that they are preparing to engage in an asymmetric attack; not against the US military or government, but against the American people. Their apparent weapon of choice is a high energy nuclear bomb designed to deliver an EMP burst from high altitude over the United States mainland. The killing mechanism of such an attack is "elegant"; that’s my Cold War analyst past showing up as an encapsulating term. The EMP burst’s objective is to saturate the US power grid underneath it with energy flowing into the wiring. The goal is to burn out a portion of the three hundred or so high voltage transformers that link the US together as an industrial age economy. By burn out, that means causing the melting of the transformer cores rendering them useless. Repairing such damage is cumbersome. There is only one plant that manufactures these types transformers in the US and it does not even make the biggest ones needed for the US grid backbone. These have to come from factories in Europe or China and there’s a multi-year backlog for them. Prior to North Korea's announcement that they have developed a hydrogen bomb designed for EMP use, most experts dismissed the danger arguing that North Korea's weapons were too puny. This premise has been altered. One should never really underestimate the determination of a fanatical foe. The eastern seaboard of the United States is presently the most vulnerable part of the country to such an attack. It is our oldest electrical grid. It is highly dependent on an interconnecting network of power generation sources supplying electricity to densely populated metropolises. The long-haul lines are AC current based, a transmission method that makes them more susceptible to EMP. And, despite many theory papers having been written on it, minimal investments have been made to harden this grid against man made EMP attack or the natural disaster version of the threat, solar coronal mass ejection (CME). In strategic warfare planning terms, we are both vulnerable and susceptible to attack. Caught unprepared, it may be possible to cut off major sections of the US mainland from electrical service. This in turn means all utilities infrastructure breaks down as one of the world’s most electricity dependent regions goes dark for up the better part of a decade. The human survival carrying capacity of these areas will drop dramatically, potentially catastrophically, resulting in suffering and death far beyond what we see in even the worst natural disasters. Desperation would consume up to one hundred million people scrambling to survive at qualities of life one-tenth of the present. Entire metropolitan regions and economic centers may/will collapse. By the time we emerge, the US would not be the same as we know it today. Take heart. All is not lost. The United States is not defenseless if we must “ride out” a nuclear attack. Ride out; there’s another Cold War term I had hoped to not have to use again in my lifetime. But here we are. As can clearly be seen in the news, the U.S. Department of Defense "all cards on the table" posture has already begun to prepare an “overwhelming military response” option. In the event that North Korea attacks, we will wipe them out. Classically, this is the basis of rational credible deterrence. Unfortunately, North Korea is more of an irrational foe. To position their warhead for proper effect, their ICBM’s would likely have to fly a controversial fractional orbit bombardment (FOB) profile first developed by the Soviets in the 1960’s. FOBS were considered dangerously destabilizing; enough that they were ultimately mutually abandoned by the United States and Soviet Union as part of the proposed SALT II Agreement in 1979. Technically, FOBS weapons are not illegal though. SALT II was never ratified. The two countries merely set it aside. Like gun control in America, destabilizing nuclear weapons controls only apply to the abiding. By any stretch of the imagination, North Korea does not abide. As to shooting the missile down. Let me teach you something about the trained eye of a nuclear war planner. Guam. Guam lies to the south east of the Korean Peninsula. A fractional orbit bombardment system attack feigning in the direction of Guam sets up an axis of approach to target the US mainland for a high-altitude detonation coming from the south. North Korean test launches have been observed climbing to high altitudes. What does that tell you? Defensively, the US has minimal ICBM warning or tracking capabilities for an attack from this direction. If I wanted to maximize the chances to pull off a Pearl Harbor type of attack, it would be the direction I would choose to take the shot. OK, so tactically, maybe they think they’ve found an advantage. Unfortunate. Time to adapt and overcome. What next? Clearly, we’re going to have to think about watching their available launch fan. It’s a good thing we’ve got the best Navy on this planet. Maybe we'll get lucky and intercept the thing; although realistically, a FOBS warhead is not an easy target. But if we can position a picket line to keep track of the overhead pass timing of these objects, there’s other stuff we can do. We have procedures in place that we don’t practice very much to manage the exposure of our power grid to coronal mass ejection (CME) events. These are also potentially devastating energy overload threats to the grid. NASA watches a deep space network that watches the sun and issues warnings to power companies to curtail or shut down loads on the grid to protect it if needed. 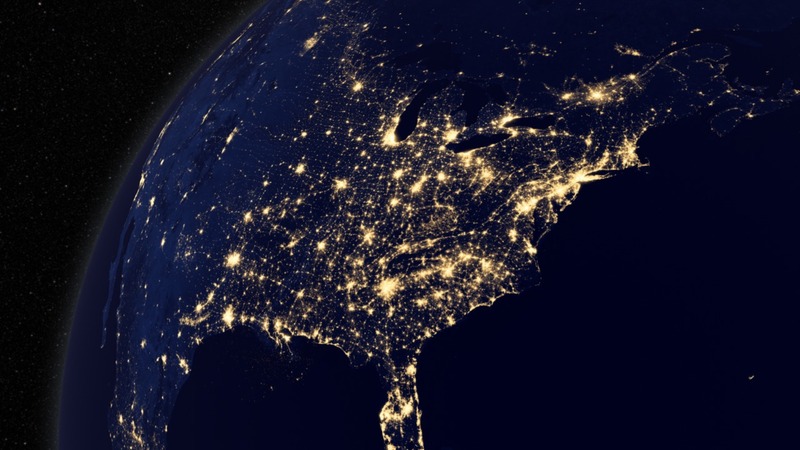 It’s possible, if we put our collective Homeland Security minds to it, to set up a similar system to deliberately black out or decouple the US power grid in the event of an incoming EMP threat. It’s not perfect because some things will fry regardless. Little stuff can be replaced easily enough. Our strategic goal here is to prevent a cascading catastrophic failure of our electrical grid. If we can do that, we reduce our susceptibility and vulnerability to this rogue foe tremendously. Investigating, certifying and exercising a near term threat mitigation defensive plan for the US mainland is deeply in our strategic national interest. We need to be able to openly call the viability of North Korea's bravado into question on the world stage. We need to confound Kim Jong Un's regime to the point that it comes to its senses. We need to demonstrate to others that the United States knows full well how to defend itself when it has to. Doing so creates powerful leverage to rein in rogue states. That's the best path back to global stability. The bottom line is that this planet does not need to tolerate this behavior by North Korea. The United States of America is in a unique position to bring this to an end strongly and peacefully without any mushrooms having to cloud this planet's skies. We should consider doing so.